Staff was very polite, room was very clean and comfortable. Where to find New Haven hotels near an airport? How can I find hotels in different New Haven neighborhoods? Where can I find hotels in New Haven that are near tourist attractions? Arranging a trip to New Haven? Looking for accommodation? Within a short drive of New Haven's downtown you'll find 15 Expedia-listed places to stay. Convenience is important when it comes to drama-free traveling, so check out the latest deals at the Omni New Haven Hotel at Yale and Courtyard New Haven at Yale, which you'll find a short distance of New Haven's heart. The area of Branford, a popular hotel area in New Haven, offers 7 hotels and apartments. Branford is 12 kilometres (7 miles) from the main part of New Haven and is one of the most popular hotel neighborhoods. 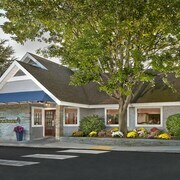 In Branford, the Holiday Inn Express Branford-New Haven and Rodeway Inn Branford are among the options. Milford another prominent New Haven hotel neighborhood is 14 kilometres (9 miles) from downtown New Haven. Some of the most popular Milford places to base yourself include the Residence Inn by Marriott Milford and Hilton Garden Inn Milford. Alternative accommodation neighborhoods include Wallingford and West Haven. 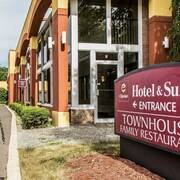 The Homewood Suites by Hilton Wallingford-Meriden and Courtyard New Haven Wallingford are in Wallingford, while West Haven is where you'll find the Hampton Inn & Suites New Haven - South - West Haven and Best Western Executive Hotel Of New Haven-west Haven. Fairfield is 30 kilometres (20 miles) from New Haven's downtown, while Stratford is 20 kilometres (13 miles) from central New Haven. The The Inn at Fairfield Beach and Best Western Plus Fairfield Hotel are situated in Fairfield, while Homewood Suites by Hilton Stratford and Quality Suites are located in Stratford. 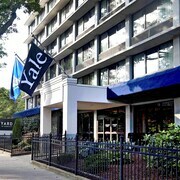 The New Haven Hotel and the New Haven Village Suites are conveniently located if you'd like to stay near the Yale University. The New Haven Hotel is 0.8 kilometres (0.5 miles) away and the New Haven Village Suites is 3 kilometres (2 miles) away. Families, students and those keeping an eye on their dollars will find some nice New Haven hotel and apartment options that won't blow holes in their wallets. The Quality Suites is 20 kilometres (14 miles) from the heart of New Haven, while the Extended Stay America - Shelton - Fairfield County is 18 kilometres (11 miles) away. Two more options in the budget range of New Haven include the Rodeway Inn Branford and the Quality Inn East Haven - New Haven. 8 kilometres (5 miles) from the main part of New Haven, is the Clarion Hotel & Suites Hamden-New Haven. The Comfort Suites Southington - Cheshire is 30 kilometres (17 miles) away. 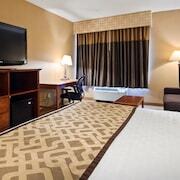 Two more places to rest your head are the Hampton Inn Waterbury and the Residence Inn by Marriott Shelton-Fairfield County. After you have spent some time in New Haven, why not take the time to discover the wider region of the Coastal Connecticut area. Coastal Connecticut offers beaches and coastal plains, and commonly visited Coastal Connecticut tourist destinations include lighthouses. In this section of United States of America travelers may also enjoy hiking. Mystic is 80 kilometres (50 miles) to the east of New Haven and is home to the Mystic Seaport - The Museum of America and the Sea and Mystic Seaport. 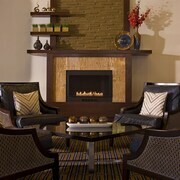 Some of our recommended Mystic hotels are the Residence Inn by Marriott Mystic Groton and Holiday Inn Express Mystic. 45 kilometres (27 miles) to the east of New Haven, you'll also find Centerbrook, home to the Copper Beech Inn and The Griswold Inn. If you're staying in Centerbrook, set aside some time to visit the Olive Oyl's and Essex Plaza Shopping Center. Are you after the most practical airport for your trip to New Haven? Tweed - New Haven Regional Airport is 6 kilometres (4 miles) away. 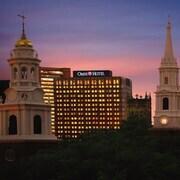 What are the most popular New Haven hotels? Are there hotels in other cities near New Haven? What other types of accommodations are available in New Haven? Explore New Haven with Expedia.ca’s Travel Guides to find the best flights, cars, holiday packages and more!